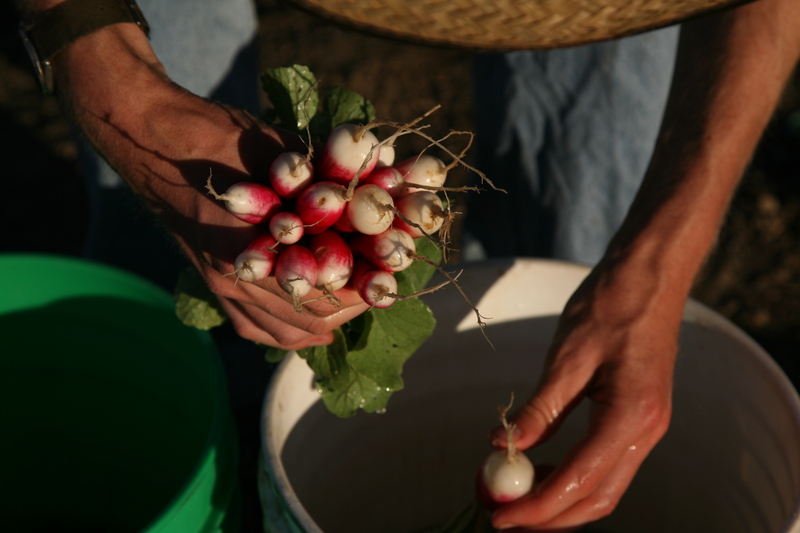 How much would you charge — or pay — for a bunch of freshly picked French breakfast radishes? 1. The Economist. According to economic theory, the value of a radish bunch is simply whatever people are willing to pay for it. Looking back on Econ 101, the price is a graphable element that can be found at the intersection of the cost-benefit curves. In this case, a radish does not have any intrinsic value. If the world’s radish crop fails and a desperate consumer is willing to pay $20 per bulb, so be it; if radishes suddenly develop a strange social stigma — oh, don’t sit next to her, she’s a radish eater — and nobody wants to buy them, your perfect little bulb might be worth a fraction of a penny. C’est la vie. 2. The Farmer. A farmer (or at least this farmer) tends to look at things from the growing point of view. Am I giving you an entire plant, or simply a renewable portion of the plant? I’m willing to charge you less for a large bunch of Swiss Chard because the plant will grow back by the next harvest time. (While people complain about the cost of our radishes, we’ve been told that our Swiss Chard is too cheap.) 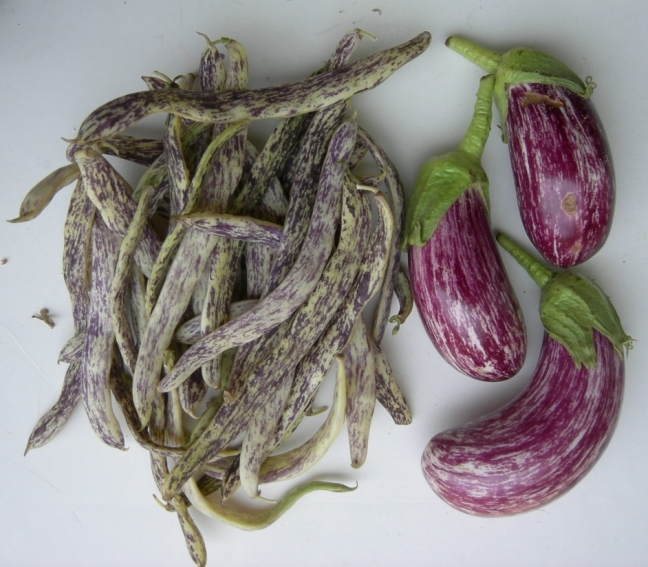 When I sell a bunch of six or seven radishes, that’s six or seven plants — plants that won’t bear me seed. You can also look at it from the space-time continuum: it takes a radish 3-4 weeks to come in, and a decent amount of soft-soiled space. They also require a bit of weeding. 3. The Concerned Consumer. A radish could be valued based upon things like calorie count, nutritional value, freshness, taste, or growing conditions (i.e., organic). 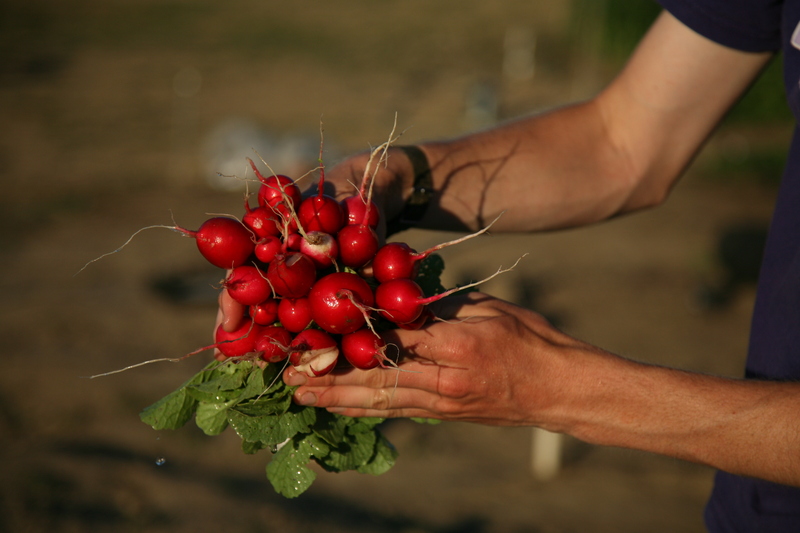 Radishes contain as much potassium as bananas, not to mention a healthy dose of vitamin C and magnesium. Plus, if you buy at a farmer’s market, you’re supporting a local food economy — good for your ‘food security’ in the long run. So, what do I charge for radishes? 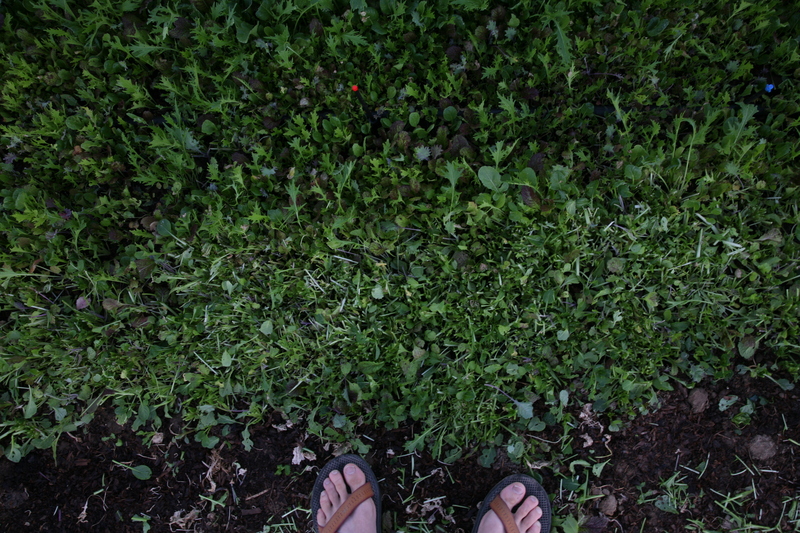 I started out at $1.75 for a nice-sized bunch (six big radishes, or 7-8 smaller ones). Some customers, a few of whom clutched $4 Starbucks coffees, literally turned up their noses and rolled their eyes — a couple even picked up a bunch and then put it down, saying loudly “Oh, I thought it was bigger!” before high-tailing it away from the stand. (Since I lie somewhere between the Concerned Consumer and the Farmer’s point of view, I was particularly aggrieved by the fact that some of these folks would unquestioningly pay $4 for a cup of coffee — which has zero nutrional value to speak of — but outwardly express disdain at my nutritious radishes.) After a couple of weeks, we lowered our price to $1.50 per bunch, which is what they were charging at the store for considerably less fresh radishes. Still, eyes rolled. The last time we went to market, we dipped to $1.25, our pride considerably wounded. I doubt you can buy a pack of gum for $1.25.